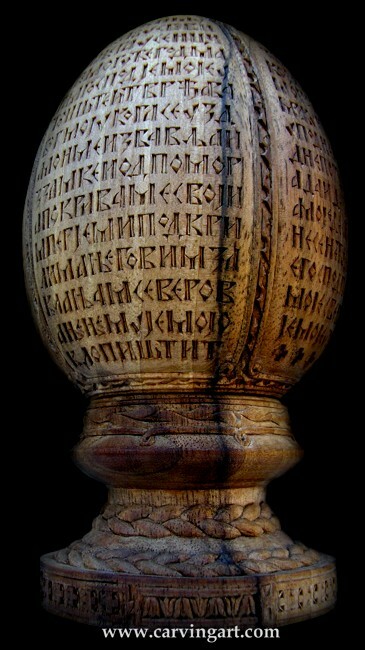 Psalm 91 in Serbian carved on an egg. Based on the Psalm Egg I, just bigger and with a different stand and details. It was bought by a groom as a wedding present to his bride. He asked me to incorporate tulip shapes because she likes them, so if you look closely at the bottom of the stand (right above the "carvingart") you can see a row of tulips facing up and down alternately. The date of their wedding is carved underneath the stand in the Gregorian, Julian and Hebrew calendars. 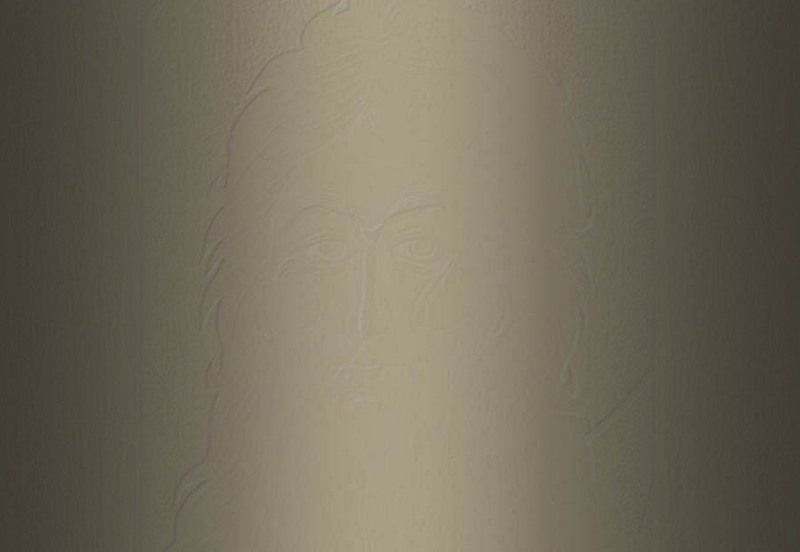 The egg and the stand have been turned from the same piece of wood but in opposite directions, so when you look at the dark vain of the wood you can see that the egg has the lighter color to the left while the stand has it to the right of the vain.